We want to Feature our new enhanced ComfortFlex sport orthotic. The ComfortFlex is one of our most popular devices and it just got even better! We added a white subortholene shell (2.0mm under 150 lbs and 3.0mm over 150lbs), extrinsic red rear foot post in high density EVA and blue low density EVA arch fill. There is a suede bottom cover and the standard top is Cloud EVA to mets. Like all of our custom foot orthotics, you may select any length and any of our seven different top covers materials. July is a great month to feature our enhanced ComfortFlex device. If you have any questions about our sport orthotics or any of our custom foot orthotics, please call us at 1-888-523-1600 or visit our website for detailed product information www.comfortfitlabs.com. What? You want another money saving Summer Promotion? Well, we got one for you..
We want to make sure all of our customers are aware of our Enhanced Medicare Approved Diabetic Insert package. Our new Summer Special price includes 3 pairs of Medicare Approved A5513 custom diabetic inserts, standard accommodations, and inbound and outbound shipping. You can also purchase one or two pairs of diabetic inserts instead of the package of three. 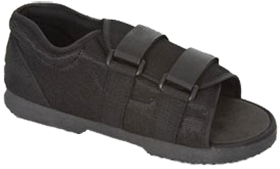 In addition to our Diabetic Insert Package, we offer Medicare Approved Diabetic Shoes from Propet, Drew, InStride and Ped-Lite. If you have any questions about our diabetic program please call Customer Service at 1-888-523-1600 or visit our website for detailed product information and downloadable order forms and sell sheets www.comfortfitlabs.com. Turn around time on A5513 diabetic inserts is 10-14 business days. The lab must receive a cast or have a cast on file to complete an order for A5513 inserts. Do not forget about your smallest patients. Our pediatric functional orthotics are specifically designed to meet the needs of growing feet so that you can effect structural changes before the bones are fully formed. These orthotics will fit in a wide variety of children's shoes. We want to Feature our Pediatric UCBL this month. 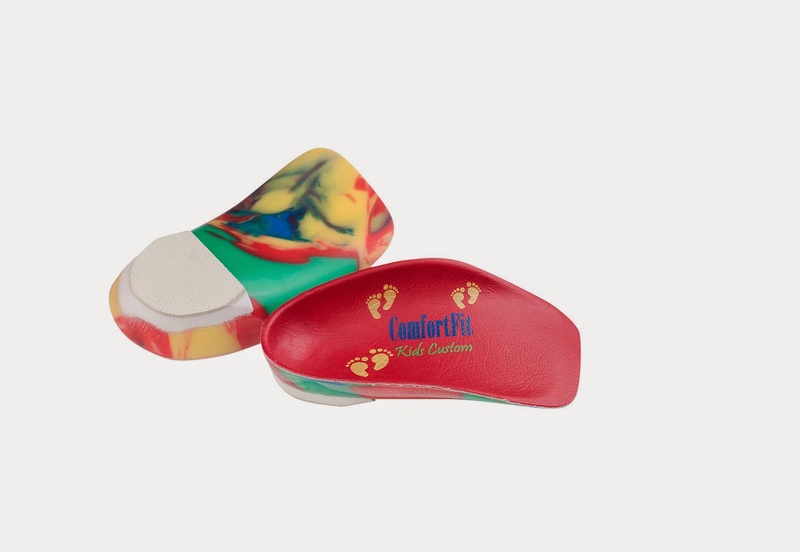 The Pediatric UCBL helps stabilize flexible foot deformity and controls severe pronation and the collapse of midtarsal joints. It features high medial and lateral flanges that extend just proximal to the 1st and 5th met heads. The molded heel cup fully encompasses the heel. Full biomechanical control can be achieved with this device. We use a multicolored subortholene 3.0 mm shell and an extrinsic, white high –density EVA rear foot post with non-skid bottom plate. As with all of our orthotics, you can order the UCBL as a full length or met length. Our standard is met length. You can select from one of our 7 top cover choices and add any additions/modifications at no charge. Shipping is always included in our flat rate custom orthotic pricing. We understand that some parents can not afford custom foot orthotics for their children if their insurance does not cover orthotic devices. We also offer a pre-fabricated UCBL device which is a great low cost option for many patients. Often times, parents will try the pre-fabricated Comfort Kid first and feel more comfortable investing the money in custom UCBL once they see the results. Our Comfort Kid has a multi-layer, firm anti-pronatary, firm medial and lateral flanges with soft foam top and anti-slip bottom. It fits children’s sizes 3-4 to youth 7.
when you order 5 or more of any Night Splint, Walker or Sport-Fit Brace. You can order a combination of any of the products on this page to equal 5. Each month we will focus on one of our custom foot orthotics. 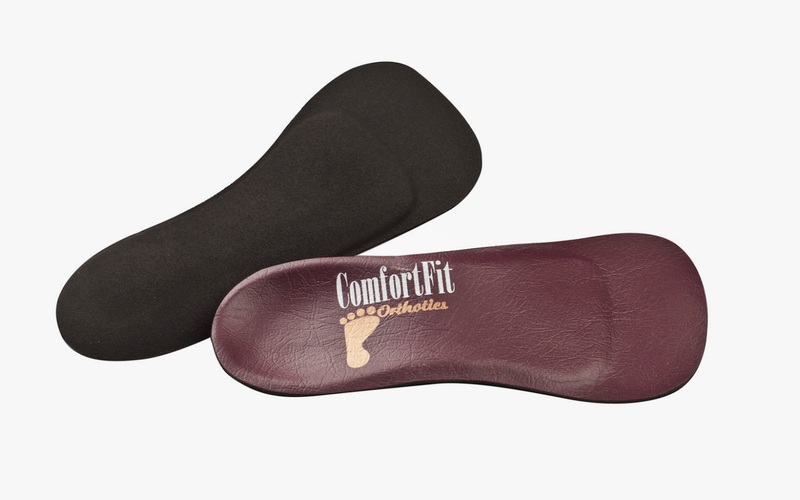 If you have any questions or would like to learn more about our complete line of custom orthotics click on the Custom Orthotics tab on our homepage, send us an email contact@comfortfitlabs.com or call us directly 1-888-523-1600. All of our sport orthotics are multipurpose devices used for a wide range of sports and general activities and are biomechanically designed for subtalar control. These devices are recommended for active patients in need of firm control for plantar fasciitis and severe pronation. We want to Feature our SportFit Flex this month. Our SportFit Flex features a semi-flexible Santoprene shell and red RF post 55 durometer. 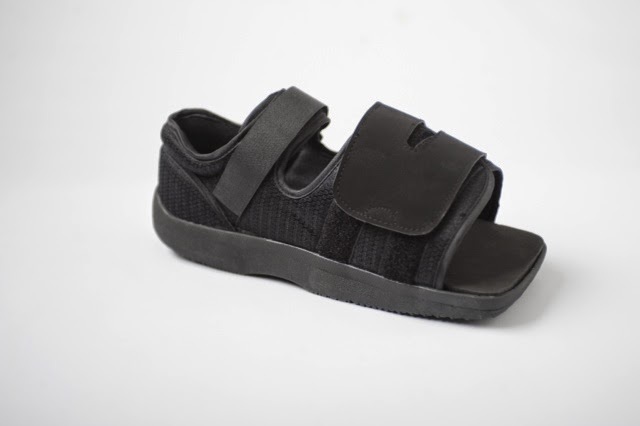 This device is designed for active patients that require moderate to severe rearfoot control but minimal arch support and pressure. Patients who can not tolerate a rigid device will appreciate the SportFit Flex. This is our most flexible sport device. The SportFit Flex will fit into most athletic shoes and can be used for any activity. As with all of our orthotics, you can order the SportFlex as a full length or met length. You can select from one of our 7 top cover choices and add any additions/modifications at no charge. Shipping is always included in our flat rate custom orthotic pricing.